There is something so powerful about a well told story to move people in a way that reams of dry facts never will. On my travels last year I had the opportunity to attend a live session of The Moth in New York, where the audience members are also the story tellers. 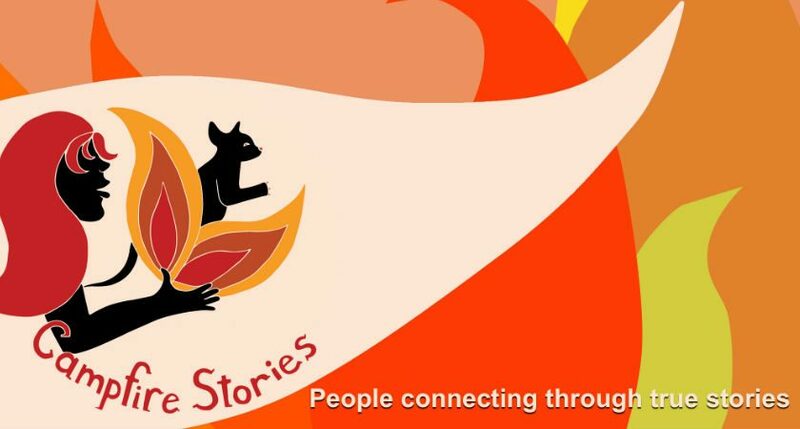 These live true story-sharing events draw in a wide cross section of the community and a similarly diverse range of stories. It was for me a splendid example of how we all have stories to share and so can entertain each other without having to resort to mass produced, corporate-controlled forms of story telling. It gives power back to the common folk to share what is important to them. The sharing goes both ways. In a world were too many of us are isolated and disregarded, the story teller is empowered to share a part of their life to a receptive audience. It also enriches the audience by giving us a glimpse of another person’s experiences and in this way widens our view of the world. Since coming back to Adelaide and through many conversations I have been inspired to launch a series of story sharing events, Campfire Stories, with the specific aim of building community and sowing seeds of environmentally-conscious lifestyles through the sharing of true stories and food. Campfire Stories will be launched in Willunga on 15 Feb 2017 at the Willunga Environment Centre and in Adelaide on 23 Feb 2017 at The Joinery. It would be great to hear stories from Sustainable Communities SA members. The theme for the February is ‘change’. How it will work: Come along and share a 5 minute true story related to the night’s theme, or sit back and enjoy the stories on offer. For the brave, the challenge is to share a true 5 minute story about the night’s theme of Change. Hate it or love it, change is a constant part of life. Opportunities, challenges, grief and loss are all part of change. Do you resist change at all costs or seek to create change? Talk about a time when you actively tried to change yourself or those around you or were swept up in a movement to create change. As Ghandi famously said ‘Be the change you wish to see in the world’. There is no pressure to speak in front of the audience. People are just as welcome to come and listen to other people’s stories. After all stories have been told you will have a chance to share your reactions and thoughts. The night will close with a shared supper so please bring a plate to share. Coffee and tea is provided. The events are being kindly supported by the Willunga Environment Centre and the Adelaide Sustainability Centre.